Hello, my name is Allan Cruz and I am a Hybrid Cloud & Analytics Solutions Specialist for IBM's Digital Business Group. To compete in today's world, you need quick access to a broad choice of cutting-edge products that can be easily integrated into complete solutions. IBM Cloud & Analytics solutions gives you the freedom to choose and combine your ideal mix of tools, data and delivery models that empower you, and your organisation. I can help you find solutions for your company's digital transformation to the cloud and analytics, connect with me through the 'Contact me' module to start a conversation. Workplace safety is important in any field. more so in industrial environments such as the manufacturing, petrochemical, or mining industries, the potential dangers are more severe. That’s why many are exploring new ways to use industry 4.0 technology to protect the H&S of industrial workers. 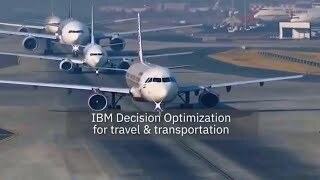 Three success scenarios if considering IBM Cognos Analytics. CIOs & IT leaders of asset-intensive organisations should use this research to understand the state of the EAM market. After Watson's groundbreaking performance on Jeopardy!, see how this incredible smart technology processes data. 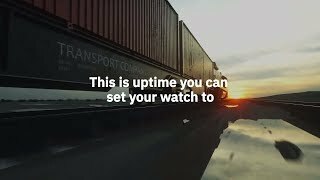 In this video, the four steps of Watson's question answering technology are covered, along with what the future holds for IBM's intelligent natural language processing platform. 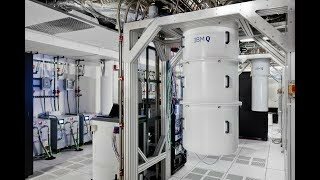 Welcome to the first IBM Q computation centre, where the commercial quantum systems used by the IBM Q Network live. IBM Q Network collaborators will work with IBM scientists and engineers to explore potential applications for quantum systems.